A week or so ago many of Britain’s swimmers had their last competitive hit out ahead of trials at the Edinburgh International Meet. Here are three key pointers from that meet to trials in Glasgow in a few week’s time. Let’s get one point straight out of the way. Barring an injury disaster Adam Peaty will be in Rio swimming the 100m breaststroke. There’s absolutely no question of that. Even an Ian Thorpe-esque disqualification at trials is not going to stop him being on that plane thanks to the discretionary picks allowed under the selection policy. Peaty was absolutely dominant in Edinburgh winning the 100 in 59.55, thereby giving no concerns over form, and blocking out one spot in the 100m event. The second is less clear. World bronze medallist Ross Murdoch would be expected to be the prime contender for the other berth, and last year he was over a second faster than compatriot Craig Benson and Loughborough’s James Wilby who sat third and fourth in the GB rankings. We’ve not seen much of Wilby this year so far to really assess his challenge, but Benson was right alongside Murdoch in Edinburgh and could yet steal a march at trials, much as he did in 2012. As for the 200, there are still so many questions that won’t be answered until trials as to make predictions almost impossible. 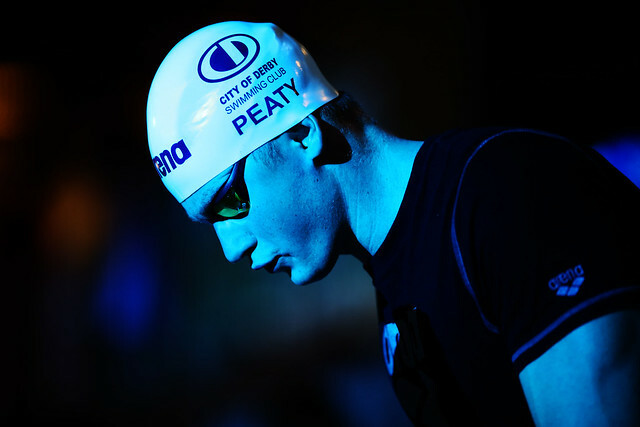 Firstly, will Peaty swim the event? It was a bridge too far in Kazan, but he’d already swum the 100, 50 and mixed relay by that point and only the 100 will be in play in Rio, perhaps making it more palatable. However, Peaty hasn’t swum a competitive 200 this year which may be a clue to his priorities. Assuming he does swim it, Murdoch probably just starts as the favourite anyway, while Andrew Willis who has been in every major championship final since 2010 will clearly also still be in the hunt for a spot. Murdoch didn’t swim the 200 in Edinburgh, but Willis was runner up in 2:12.79, leapfrogging the Scot on this year’s rankings. With nobody really showing their hand so far in 2016 it really does remain difficult to call. What is clear is that Michael Jamieson is struggling. He was off the pace in Edinburgh with a 2:16.13 which he was clearly frustrated by. It has been a difficult two years for Jamieson but so far his change of training venue from Bath to Edinburgh doesn’t seem to have had the impact he must have hoped it would. He’s too much of a quality swimmer to write off just yet, but it would seem to be a big ask for him to make it Rio off his current form. It’s difficult for swimming fans to watch his travails, and if 2016 were to prove the end of the road for him (and there is no suggestion yet that it will be) it would be a sad end for one Britain’s best. Ben Proud was again in scintillating form in Edinburgh, posting 21.77 in the 50 free, off a 21.81 heat swim, and a PB of 48.53 in the 100m event. Let’s be realistic though. He should be in the final of the 50 based on that form, and who knows, he could sneak onto the podium, but 48.5 isn’t going to be bringing back any medals in the 100. However it is still big news for GB in terms of the medley relay. Off a rolling start Proud should be pushing well down into the 47’s which would be massive for that team’s medal shot. 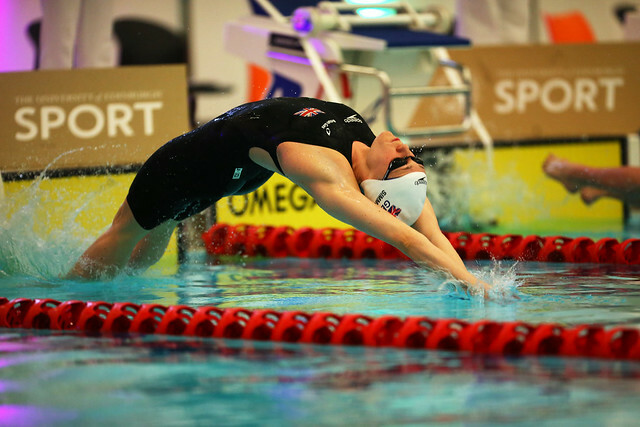 It still may come down to form on the fly leg, and no doubt the selectors are praying that someone starts delivering in that event, but knowing that GB has that kind of speed on the end, to add to a strong backstroke and sensational breaststroke, is a real boost. Two ladies aiming for their third Olympics gave notice at the Royal Commonwealth Pool that their challenge for a games berth is far from over. Firstly, Lizzie Simonds recorded strong in-season swims in the 100 and 200 backstroke with times of 1:00.40 and 2.10.17. That’s solid for this time of year, and the qualifying time of 2:08.21 in the longer event should be well within the Bath swimmer’s compass come trials. The 100 may be a tougher shot with a time of 59.05 needed for automatic qualification. Jemma Lowe meanwhile has also responded well to a long stint training in Australia with the University of Bath. Her 58.80 100 fly was not far off her best all year in 2015 while her 2:08.61 in the 200 fly was her fastest for two years. Whether she’ll ever be back in 2:05 form over 200m is a tough question, and the automatic qualifying time of 2:06.51 may well be a stretch too far, but the 2% time of 2:08.15 looks eminently achievable and may be enough for a berth in Rio.